This piece that originally appeared in Critics at Large is reproduced on this site because of the recent attention I have been giving to humane moments in the last century, an antidote to crossing that line of darkness. 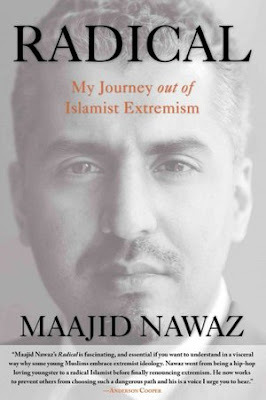 It is not surprising that in Radical: My Journey from Islamist Extremism to a Democratic Awakening (WH Allen, 2012), Maajid Nawaz cites Malcolm X, given the correlation in the arc of their lives. Whereas the African-American leader’s path gave way from being a petty criminal and long-term incarceration to becoming an influential minister and separatist political activist to evolving into a humanist in the final stages of his life, Nawaz’s journey led him from being a British-born angry teenager of Pakistani descent, who found his voice of rebellion through American hip-hop, to the upper echelons of the radical organization Hizb-al Tahrir, and his subsequent imprisonment in Egypt and disenchantment with Islamism. What both men shared in common was their ability to challenge their deepest convictions despite the personal costs they endured. Before reading Radical, I initially became aware of Nawaz in 2010 when he was profiled on 60 Minutes and this year interviewed by Steve Paikin on TVO’s The Agenda, one of the more intelligent conversations with Nawaz, and I was impressed. On television he is articulate, telegenic and urbane, but it is his courage to question and upend his belief system and face the consequences that stand out in his memoir. Although Nawaz grew up in a middle-class anglophile household, he lived in a racist neighbourhood in Essex, England where at school he was taunted for his “blackness” and was perpetually at risk from the thuggery of neo-Nazi skinheads, violence that the police largely ignored. In one powerful vignette, he describes how one of his white friends was seriously stabbed trying to persuade a gang not to beat up Maajid. He acknowledges the shame he felt that someone else was nearly murdered trying to help him while he was unable to do anything. Much more important is that this altercation, the reports that he heard and the videos he viewed about the massacre of Muslims in Srebrenica during the Bosnian war in the 1990s drew him into extremist Islamism. It was not the Muslim faith or early indoctrination by his parents that inspired him to take this path. On the contrary, Nawaz recounts a childhood memory that after Salman Rushdie in 1988 was demonized for publishing The Satanic Verses, his mother ignored Ayatollah Khomeini’s fatwah and bought the book in order to “make up her own mind whether it was blasphemous or not.” Her advice was if you do not like a book write another one to challenge it. It took several years before Nawaz was able to absorb her wisdom. Instead, Nawaz became a leading activist in Hizb al-Tahrir (HT), a militant organization that avoided violence, not because of the human cost, but as a tactic, since violence did not have much strategic value in serving the movement’s end of establishing a modern Caliphate. The details of his activities in recruiting others, rising within its ranks and establishing branches in other countries while he was a student at the University of London in the 1990s is hard slogging in places. Yet his account of being present at an incident when one of his colleagues stabbed a rival African student to death is chilling, an incident that weighed heavily on his conscience years later. When he travelled to Mubarak’s Egypt to spread the HT narrative, he was arrested and spent almost six years in the notorious Egyptian prison system. 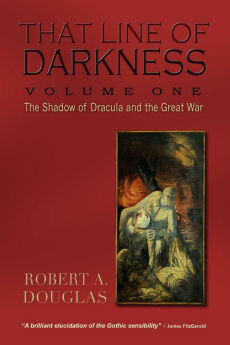 These chapters may be the most powerful in the book not only because of the terrible prison conditions and the treatment he experienced and heard – he was savagely beaten yet, in large part because of his British citizenship, was spared the electrical torture endured by others – but also it was in prison where he began to question and overturn his formerly held beliefs. The process of emotionally, as well as politically, socially and intellectually, disengaging himself from Islamism took years and continued long after Nawaz left prison. 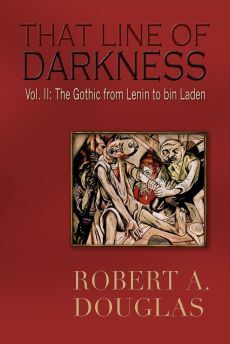 These chapters are convincingly rendered and are consistent withthe accounts of others who have become cocooned in Marxist-Leninist or National Socialist ideologies. Even though Amnesty International finds the Islamist worldview unsavoury, Nawaz credits it for initiating the process that began to unfold within his own head. That NGO adopts him and his colleagues as Prisoners of Conscience after their conviction for distributing propaganda on behalf of a banned organization. He recognizes that while the Islamist ideology demonizes the other and renders its adherents insensitive to the suffering of others, Amnesty “rehumanized” people. Nawaz illustrates this change within himself by contrasting the New York 11 September, 2001 attacks with his response to the London bombings of 5 July 2005. Whereas in the former he admits he had no empathy for its victims, he felt revulsion about the “plain and simple death of innocents” in the latter attacks. Despite his rhetorical devotion to Islam, he recognizes in prison that after embarking on a serious reading of Islamic texts and Ottoman history, both of which he knew little about it, and concludes that justice has nothing in common with Islamism, that the imposition of Sharia law would be anathema to the creation of a just society. He also meets older, wiser prisoners whom he comes to respect even though their views are different from his own. As a result, even before he left prison, the process of weaning himself from Islamism and its narrative of a clash of civilizations between kuffar and Muslims has become firmly etched in his psyche. Nawaz also immerses himself in Western literature and reads novels like Animal Farm and Lord of the Flies.From the former he ponders the disturbing implications of the creation of supposedly a new utopia under Sharia law and from the latter the insight that the most benign or well-intentioned people are capable of descending to despicable depths. In interviews, he contends that this Sharia utopia would turn into a nightmare, which as a liberal Muslim, he would find intolerable. After he returns to London, it takes a year before he renounces his membership in HT. That repudiation not only costs him many friends but his marriage with his Islamist wife and contact with his son. 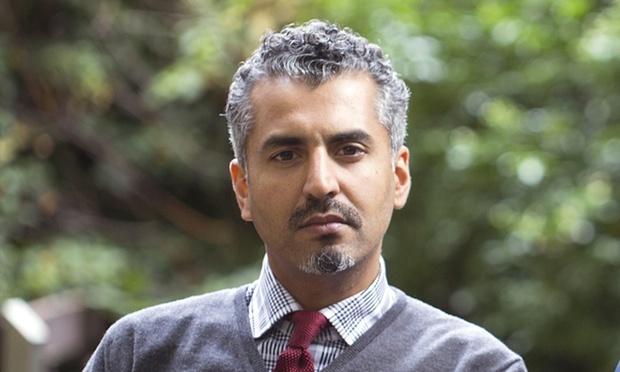 They are further alienated from him after he becomes the co-founder of the Quilliam Foundation, a think tank with the purpose of creating a global “democratic awakening” among Muslims and promoting political pluralism in Arab countries. He is particularly active in Pakistan presenting his counter narrative that what Muslims hear are only at best half truths. For example, Al Qaeda has killed more Muslims than have American drones. He barely averts a violent act of retribution for being an apostate while in Denmark. His goals are noble, his courage is inspiring and I admire his newfound liberalism. I applaud any effort his organization can make at dissuading potential recruits from joining a terrorist organization. Yet the last chapters in his book and his activities after the manuscript went to press leave me with nagging doubts. First, there is Nawaz’s politicking on behalf of powerful political institutions. For a time his foundation received British government grant money. He met with David Cameron and advised him how to respond to the Islamist narrative. Cameron’s subsequent Munich speech, which is not included in Nawaz’s book, was roundly criticized by several Muslims. One critic argued that his speech was “inflammatory as it was superficial, peppered with stereotypes and straw men …. Conveniently, he had little to say about the well-documented links between ‘our’ foreign policy and ‘their’ violent extremism.” In his defence, Nawaz argues that he is attempting “to strike a balance between the two extremes of the neoconservative right, which tends to blame Islam itself for an increase in Islamist-led violence, and the regressive left, which tends to blame only foreign or domestic western government policy.” Undoubtedly a good response, although for some time I could see little evidence from his memoir and his interviews that he strikes that balance. True, Nawaz makes fleeting references to his opposition to all forms of injustice, especially torture, and Western support for authoritarian Arab countries. Yet he seems to downplay Arab grievances and focuses more on the “stifling, totalitarian, victimhood ideology” of Islamism. He does mention in the memoir that he received a last-minute visa to enter the United States to speak to the Senate, a speech that was picked up by C-SPAN, but he says nothing about the substance of that speech and I have not been able to locate it on YouTube. I doubt whether he attempted to “strike a balance” on that occasion. 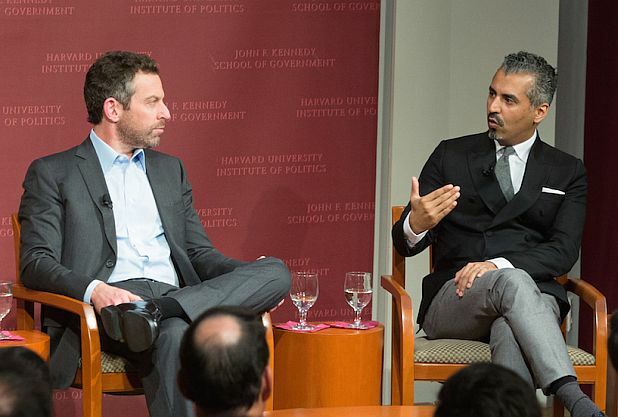 Nonetheless, after reading, Islam and the Future of Tolerance: A Dialogue (Harvard University Press, 2015), Nawaz’s most recent book, which is a dialogue with the atheist, Sam Harris, I am able to revise my concern about the absence of balance. He does criticize the Obama administration for its use of drones and its “kill list.” He contends that this administration believes that terrorist organizations are like an organized criminal gang: decapitate its leadership and the organization will collapse rather than recognizing that al-Qaeda and ISIS represent an ideology: “a full-blown jihadist insurgency” with grass roots sympathy. The primary goal should be to destroy the Islamist ideology. Nawaz admits that Obama has come to recognize the role of ideology after the successes of ISIS, but he feels the President should not be reluctant to name Islamism. In refusing to do so, Obama has only “increased the public’s fear and made it easier to for Muslimphobes … to blame all Muslims.” When Nawaz delivers that kind of nuanced criticism, it carries far more weight than anything that Republicans hurl at the President as they despise everything he says or does. And yet when I read and hear him speak with the same passion that he once exhibited when he was an Islamist and note the vast appeal he receives from a large cross-section of the media, some of whom do not get the nuances of his message, I am reminded of those radical zealots of the 1960s who underwent a major conversion to the right on the political spectrum in the 1980s. I know it is not the same because Nawaz has not turned into a neo-conservative, but I cannot help feeling a similar dynamic is evident. I do not appear to be alone. According to a report in the Guardian, some British Muslims, particularly those who never were tempted by Islamism, feel uneasy about his popularity. Yet these small caveats about Nawaz should not overshadow his accomplishments, that he doffed his jihadist blindfold, that he has denounced the Islamophobes who are increasingly spreading their virus and paranoia about Muslims, and he has made significant contributions to offset the alluring but toxic appeal of terrorist organizations.